There have been many studies of cognitive and affective benefits from incorporating the animation in user interfaces, thus, only a few have investigated that how animation in user interface affects children’s cognition while they interact with interfaces in their different growing stage. In this paper, we want to figure out if the animation in user interface can benefit the cognition, interaction, and emotion of children at different age range. 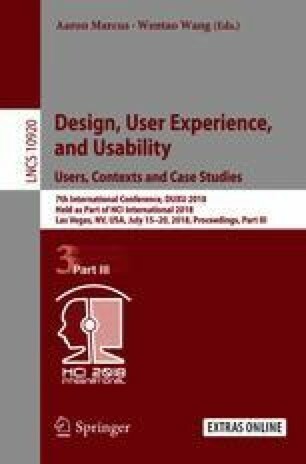 A study was carried out by comparing a series user interface demos with and without animation based on typical tasks in the Kids VOD APP among two groups of children ages 4–6 years and 7–12 years. The result of this study shows that the two groups of children have differences on the task completion rate, task completion efficiency, and emotion preference. This suggest that applying animation to user interface for children needs consideration of children’s age and animation usage scenarios.